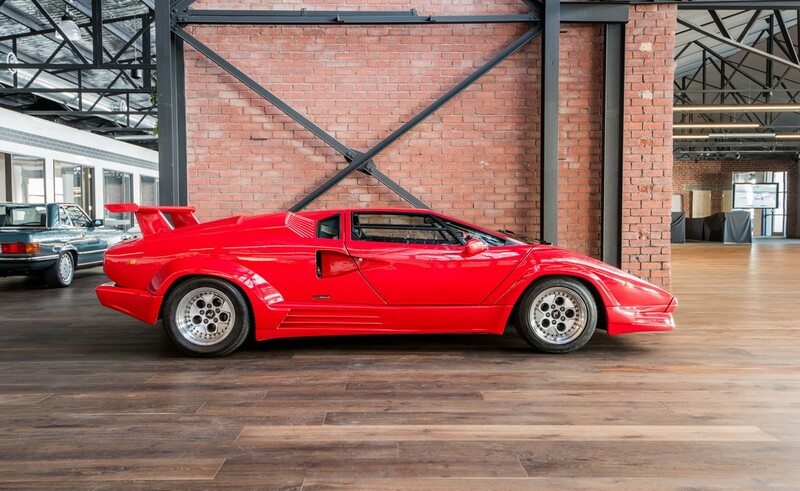 1990 Lamborghini Countach 25th Anniv. 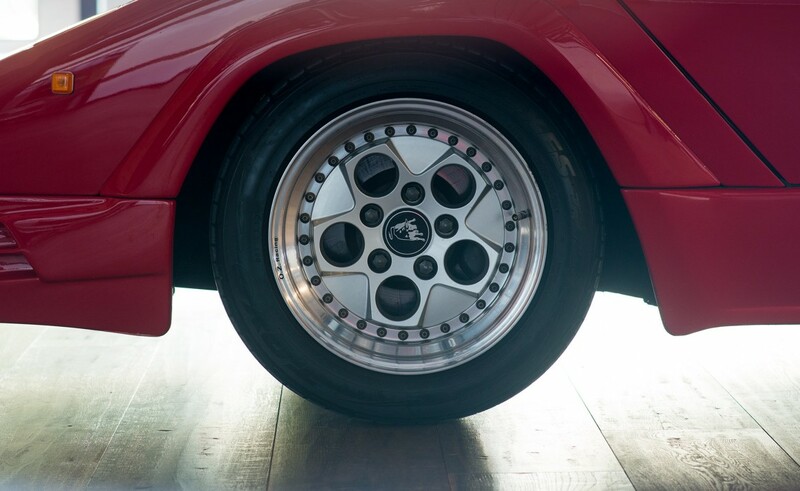 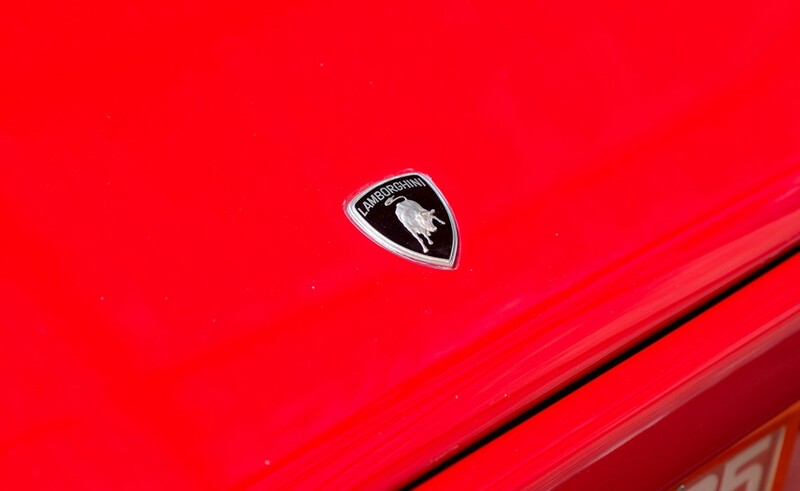 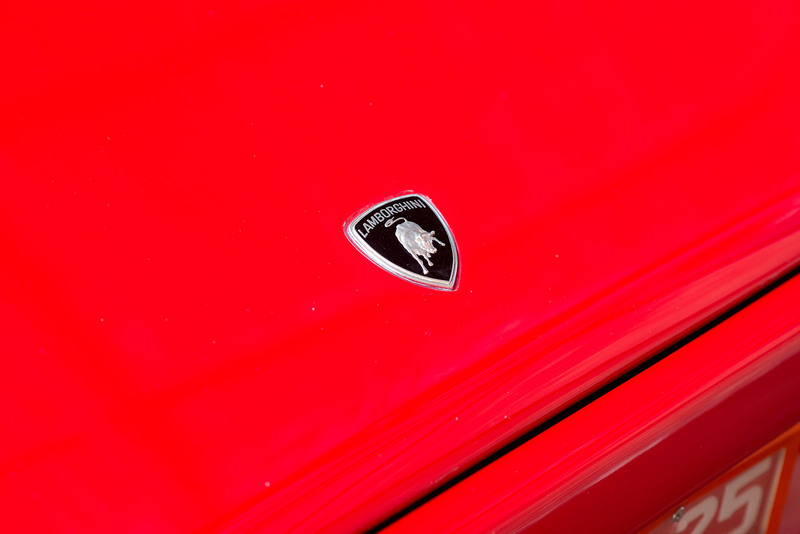 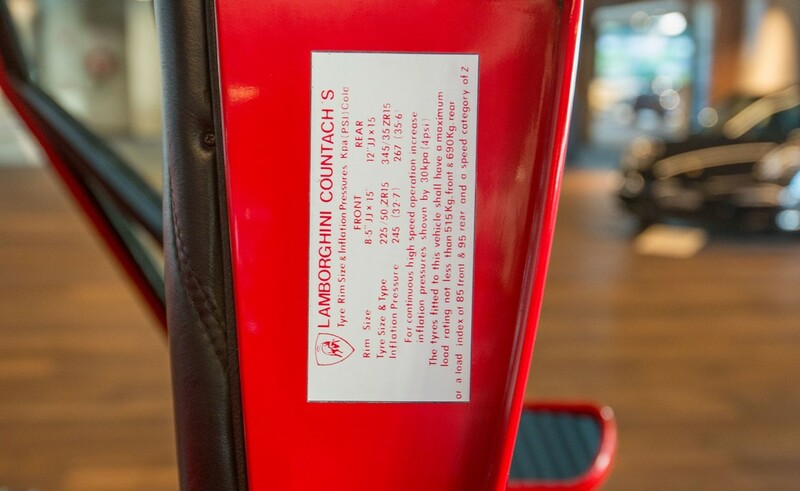 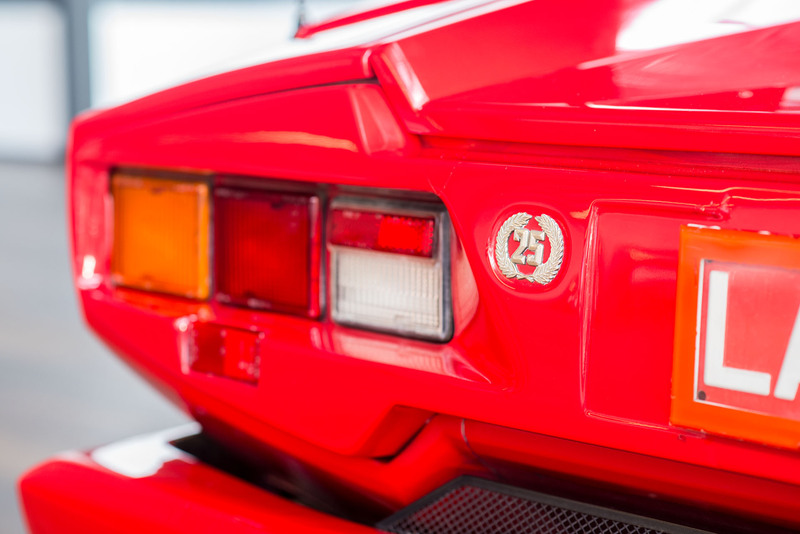 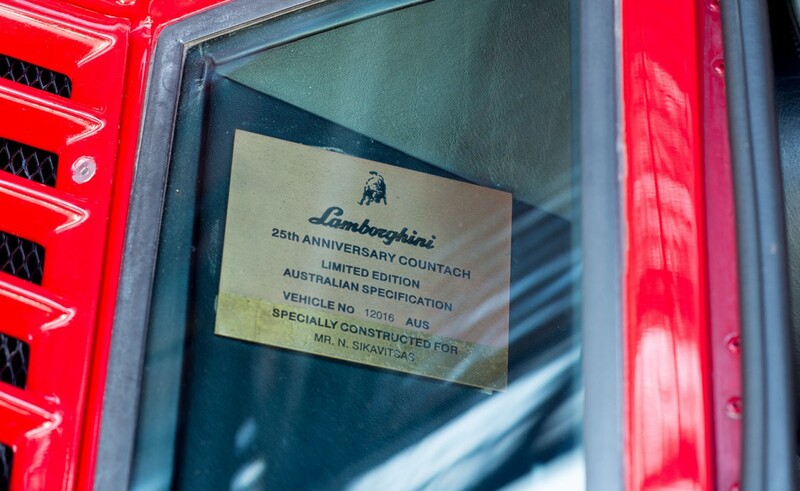 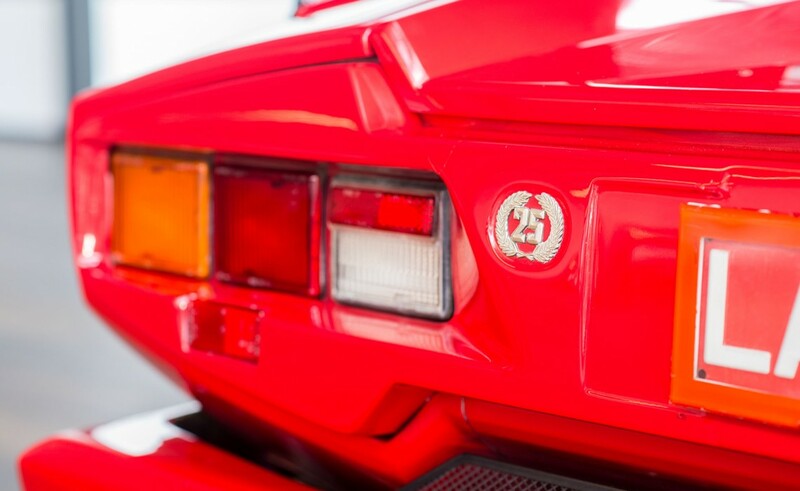 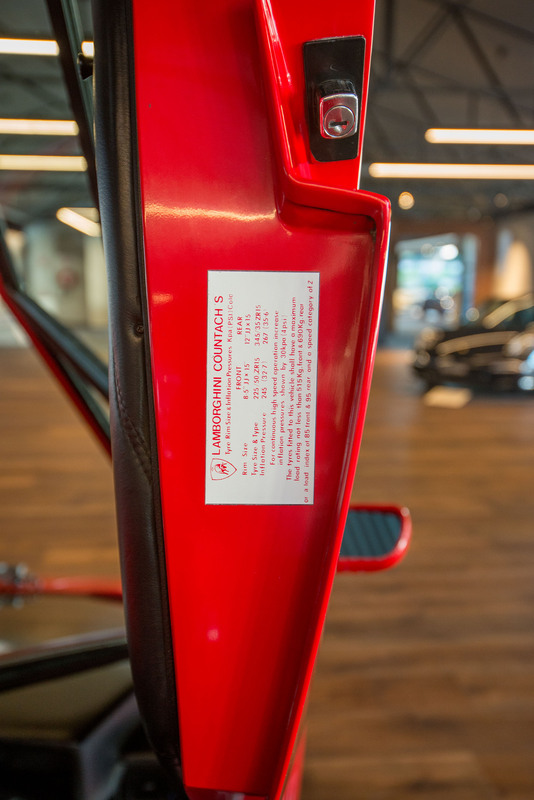 This fuel injected model was produced to celebrate 25 years of Lamborghini production. 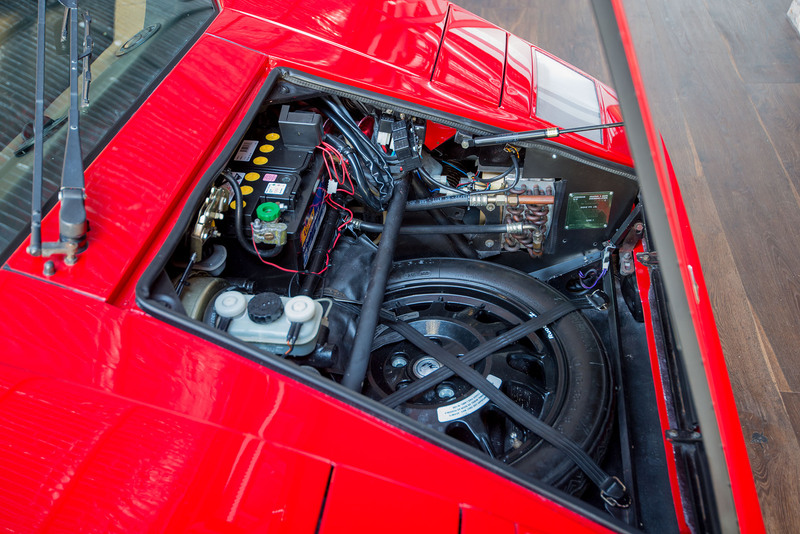 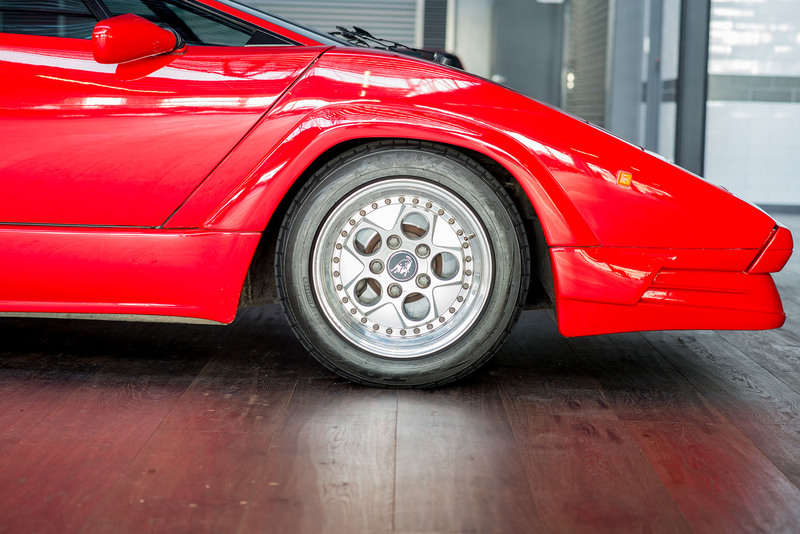 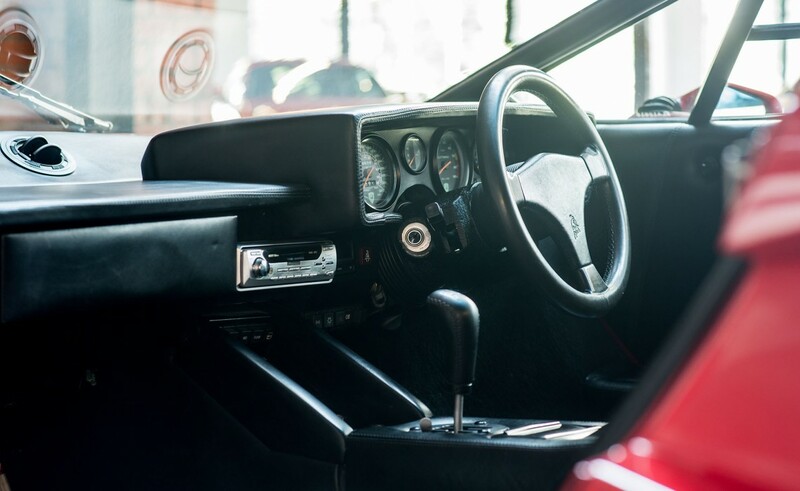 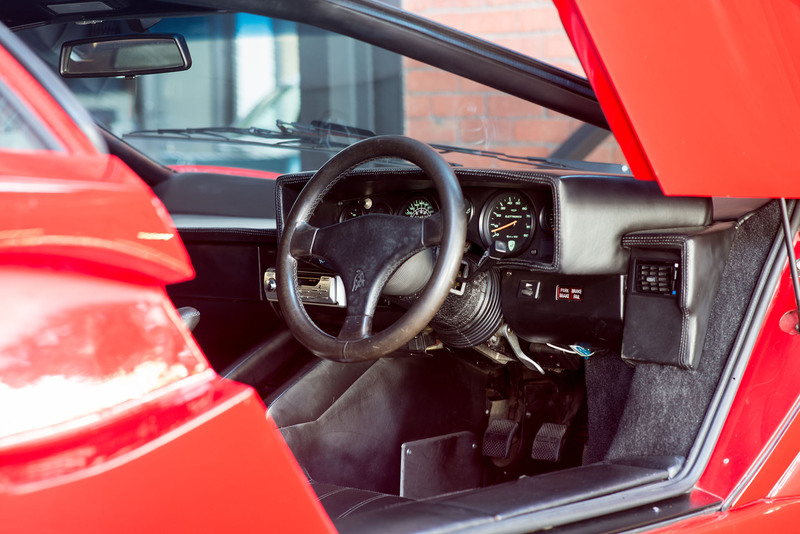 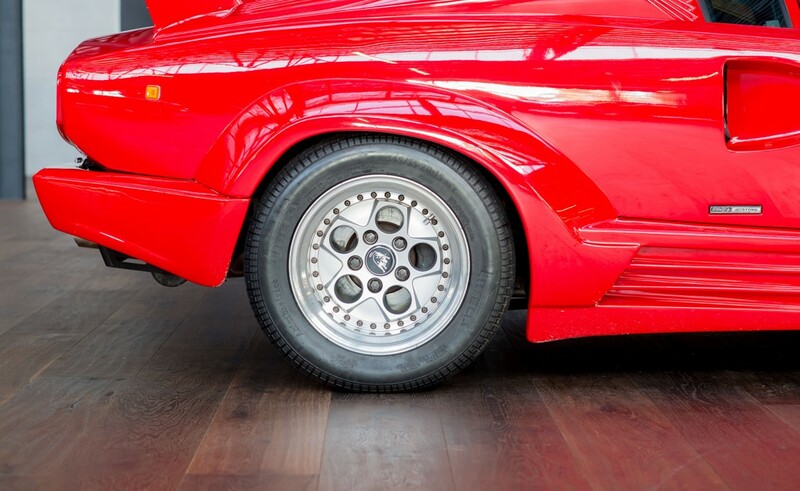 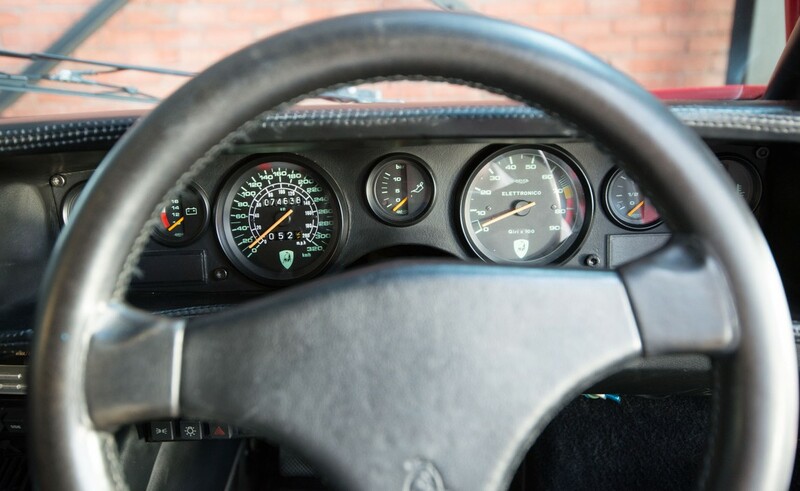 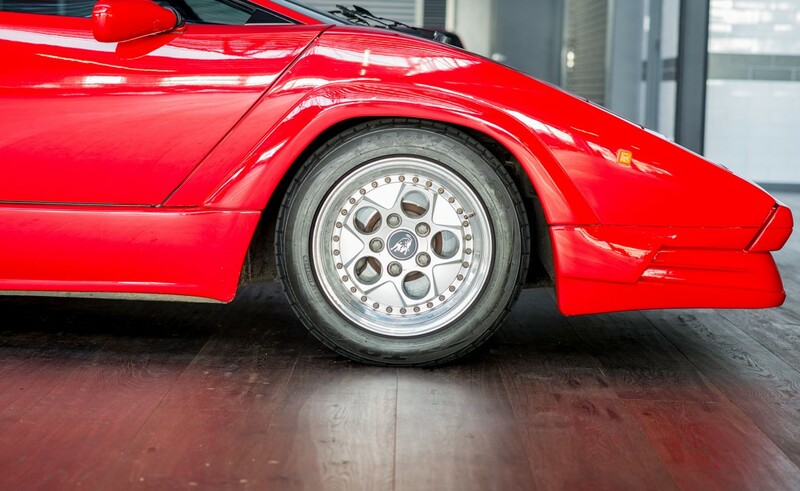 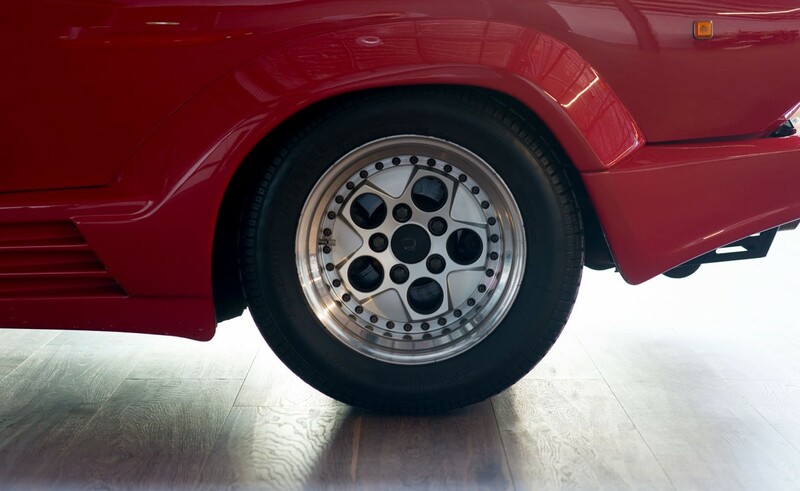 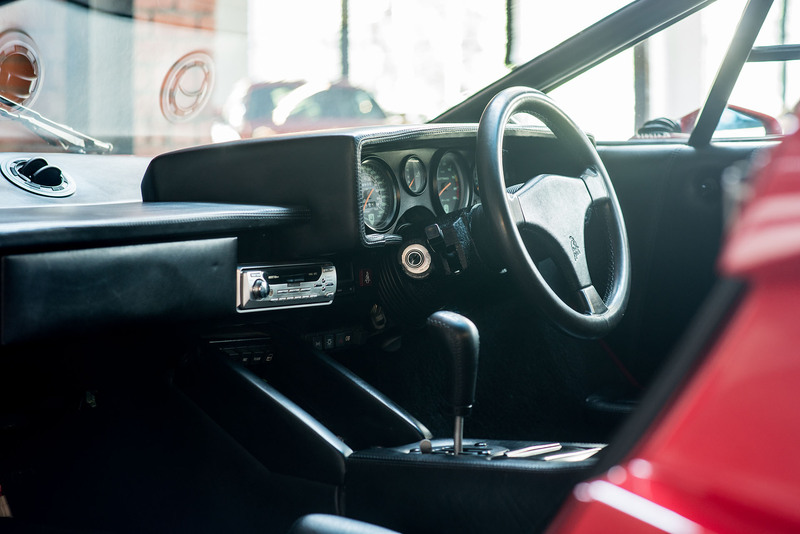 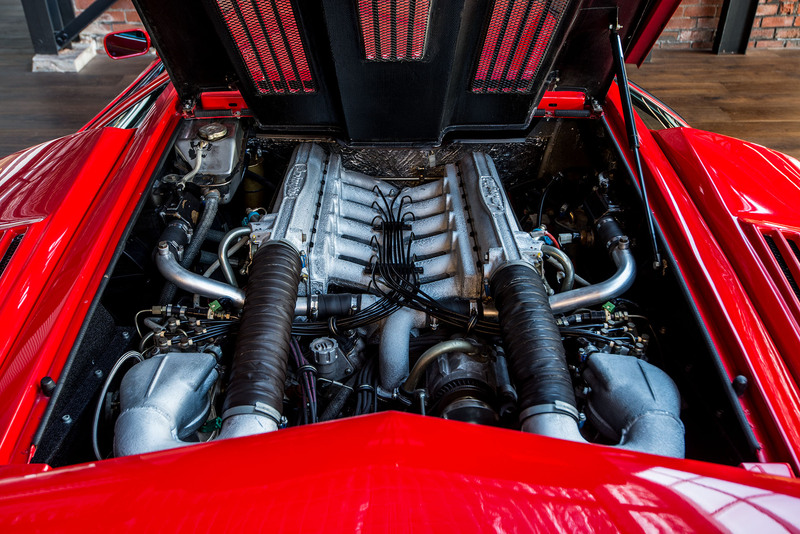 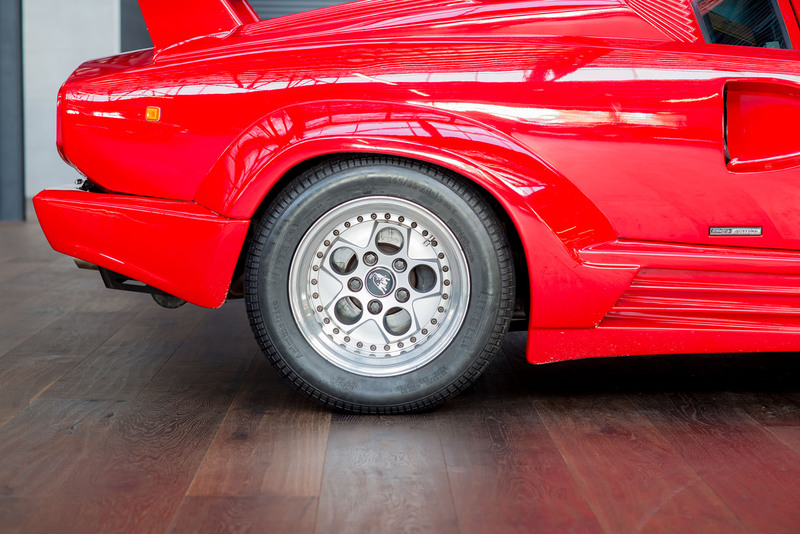 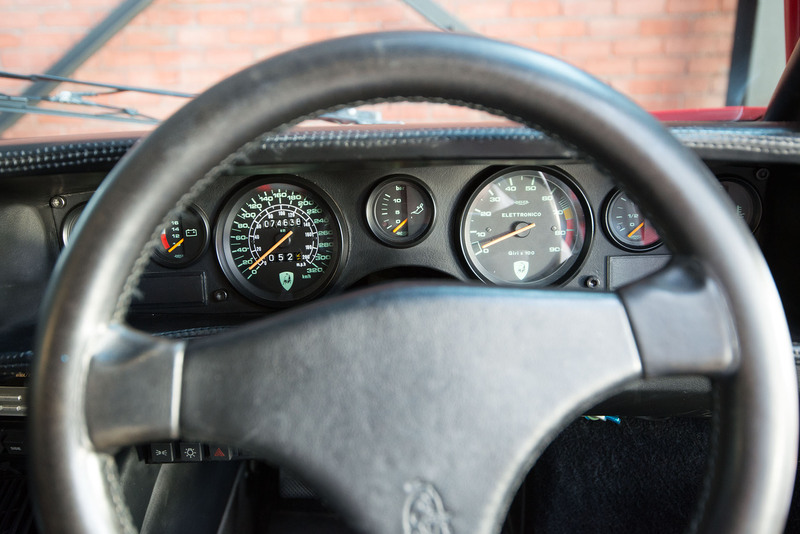 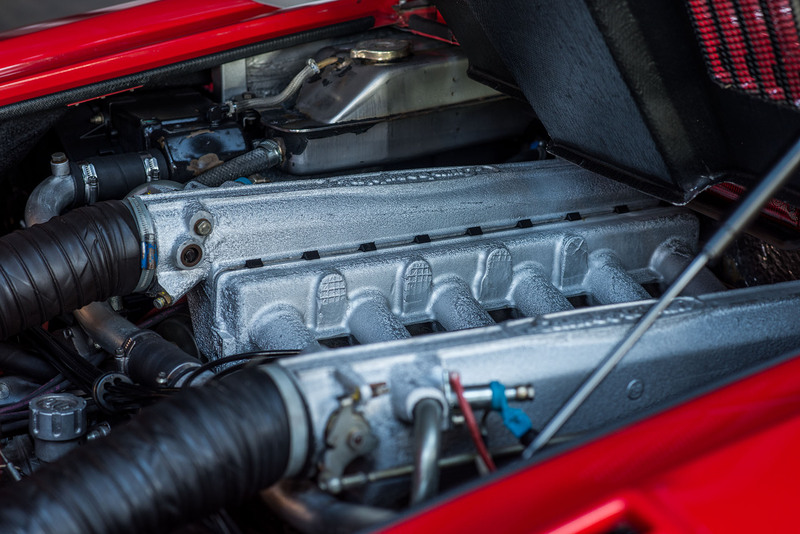 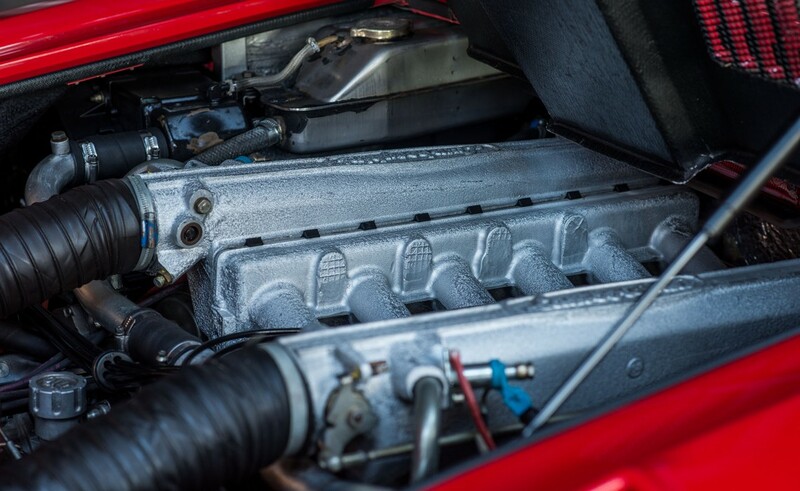 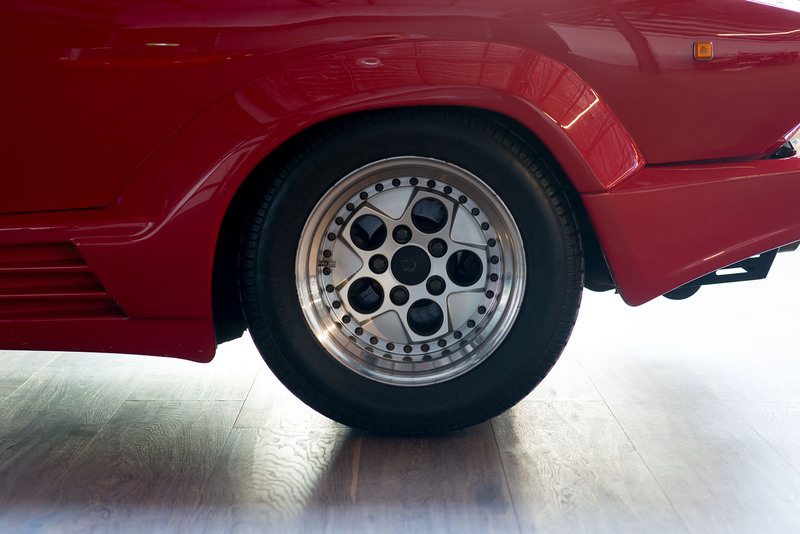 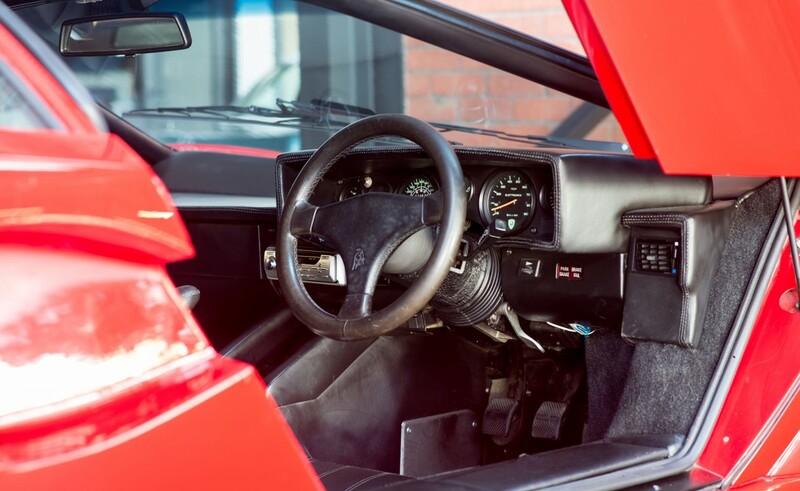 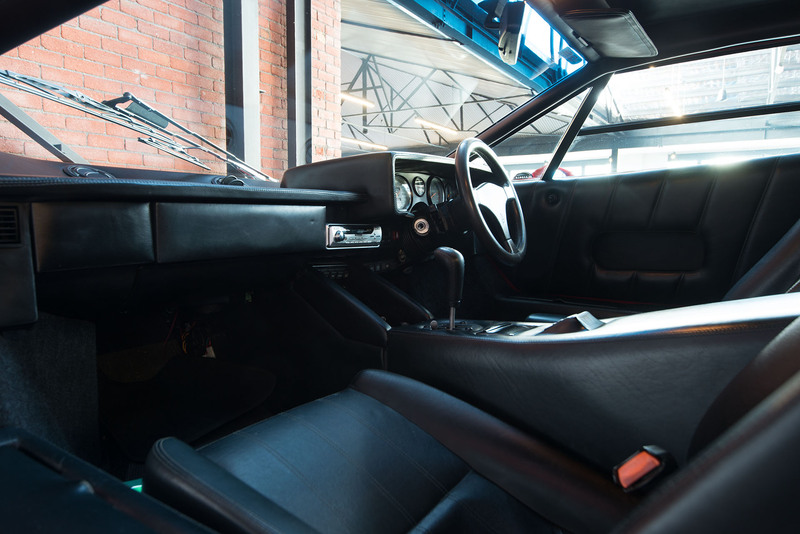 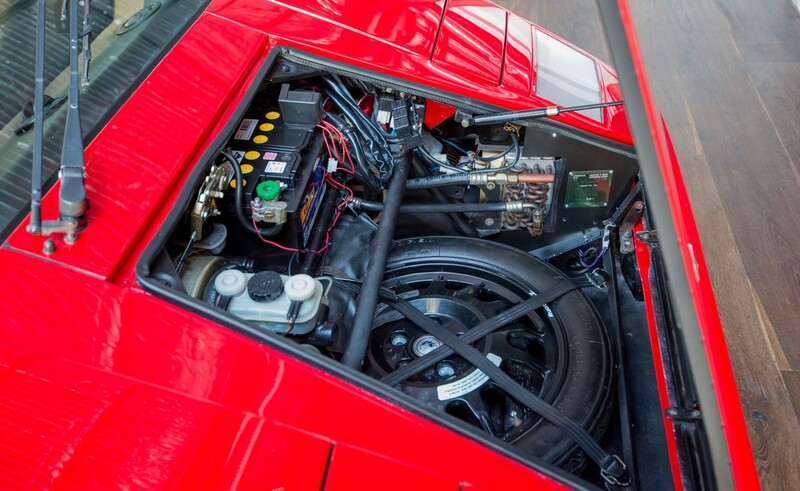 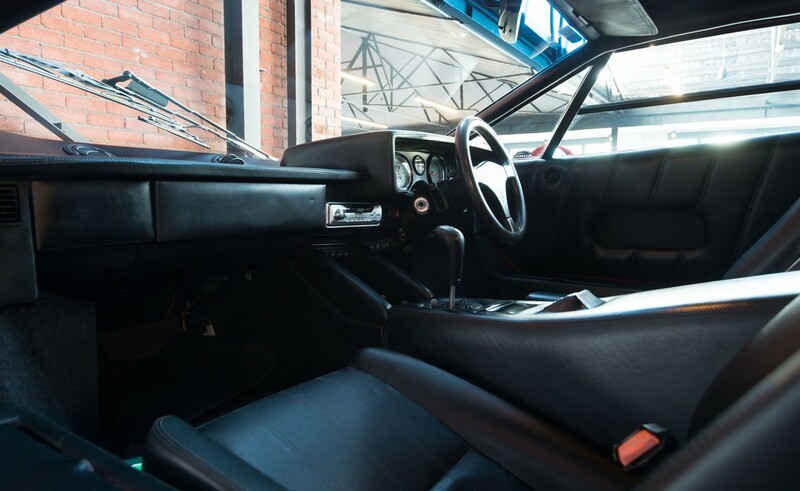 Our mechanic said you shouldn't meet hero's as they can be disappointing - not in this case, he returned from his first Countach drive saying it was even better than he expected. 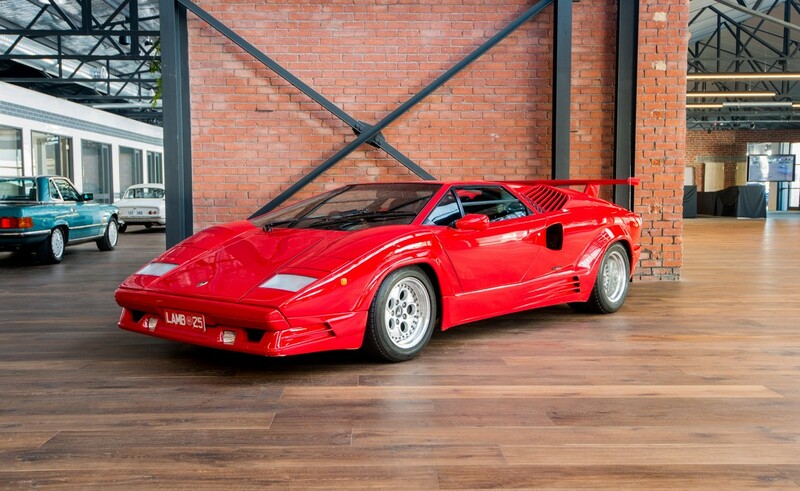 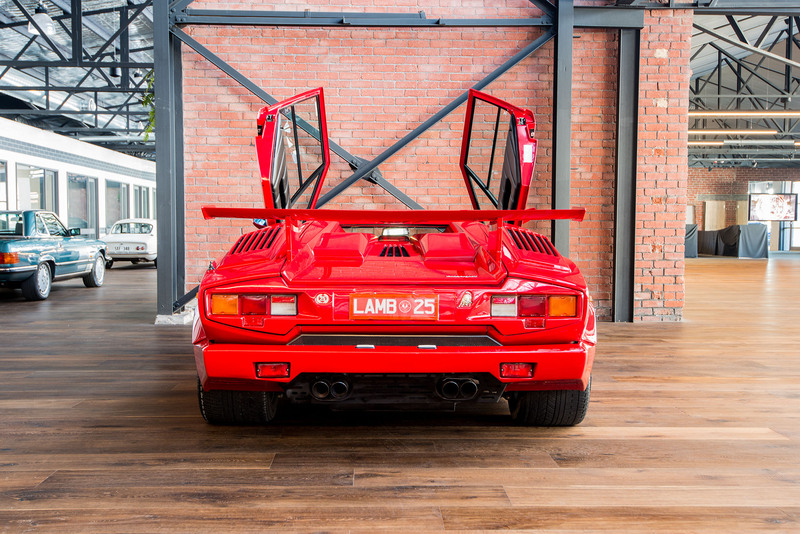 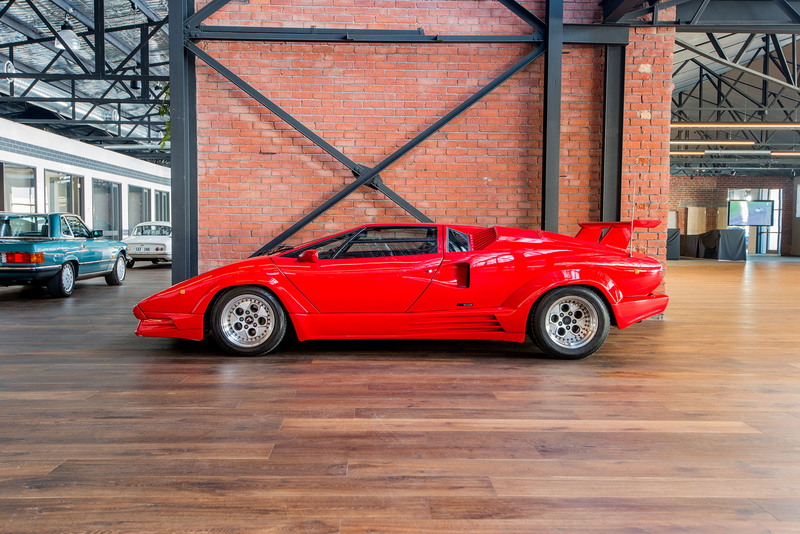 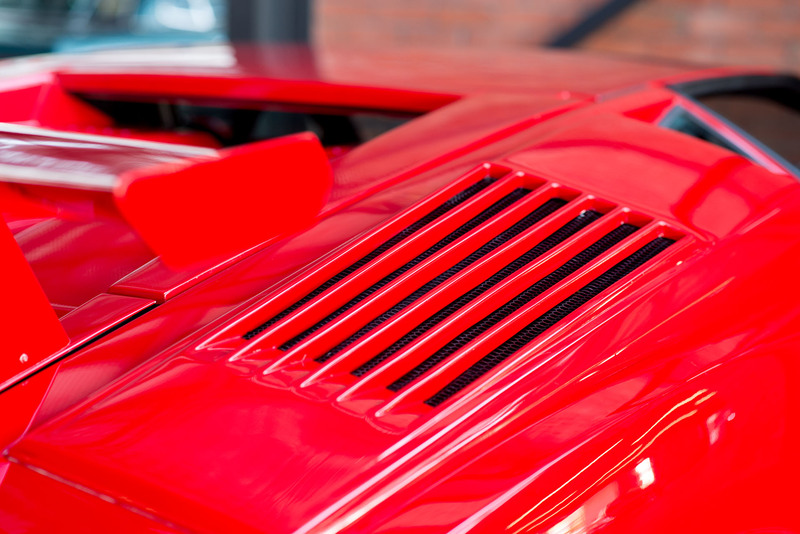 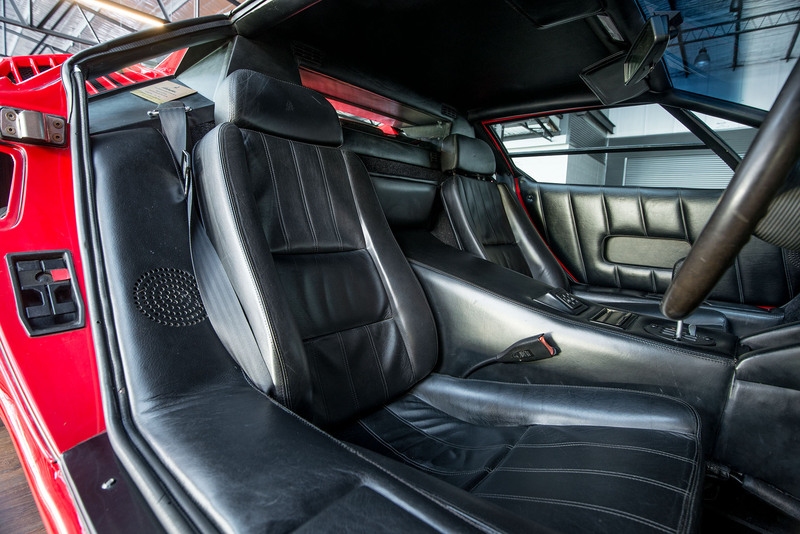 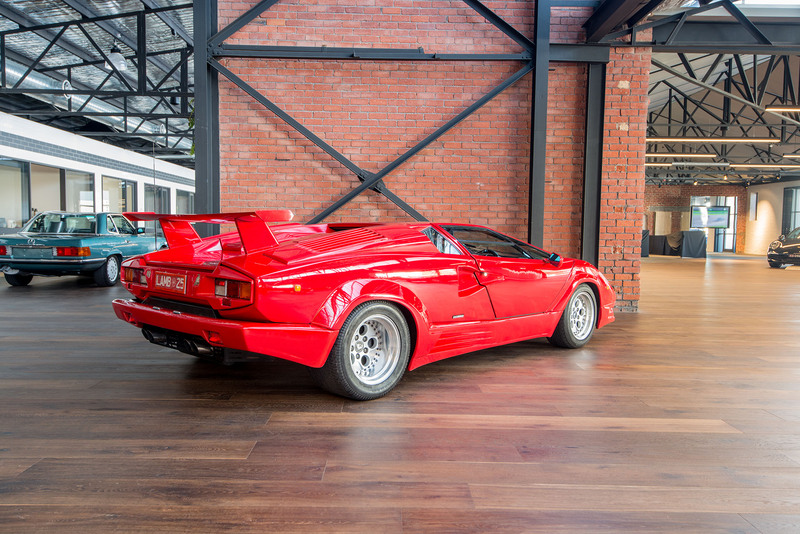 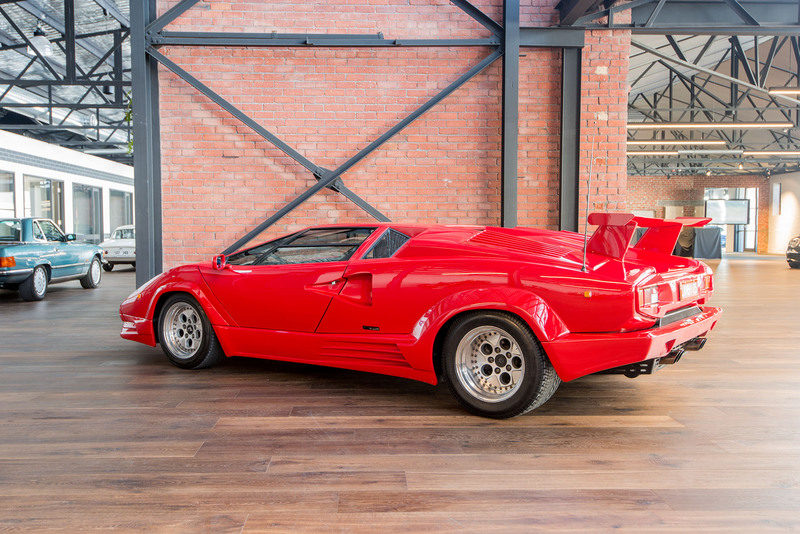 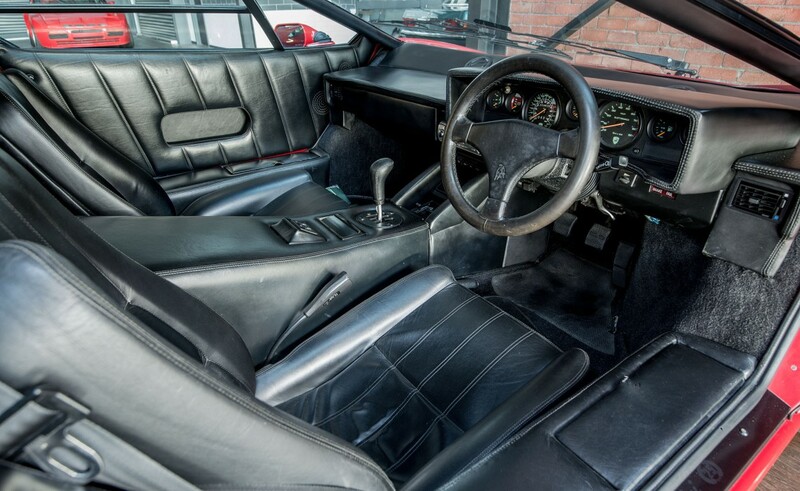 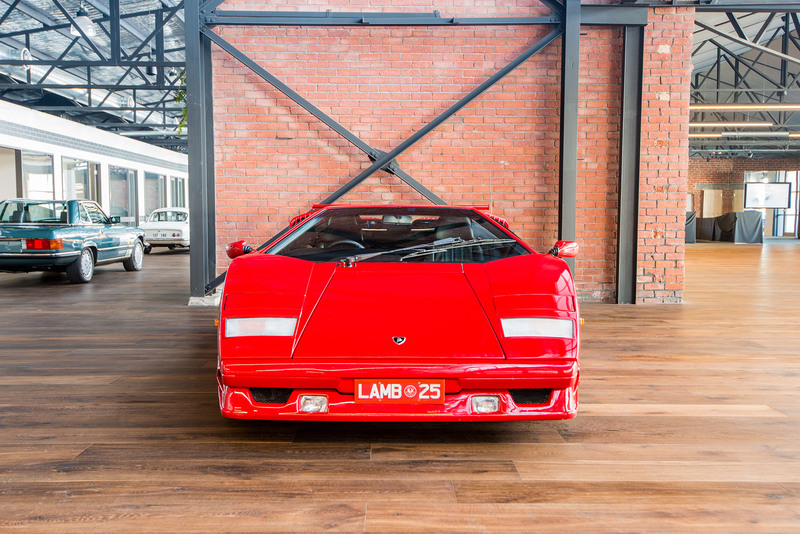 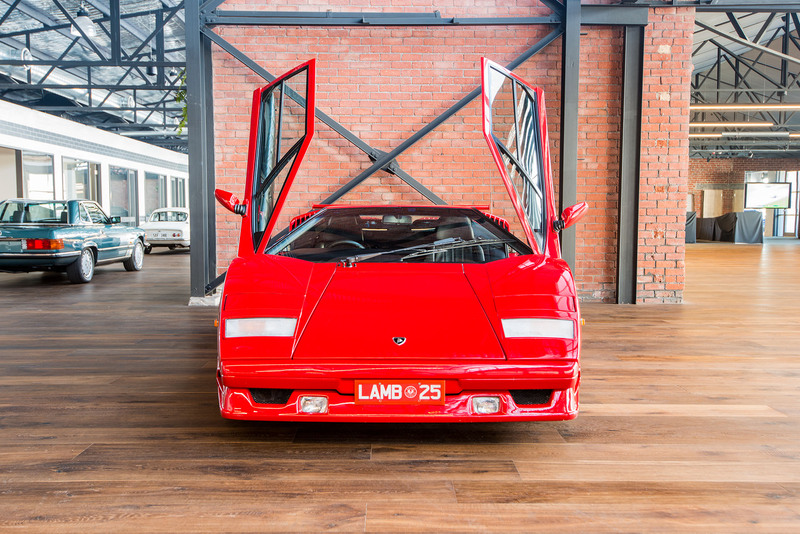 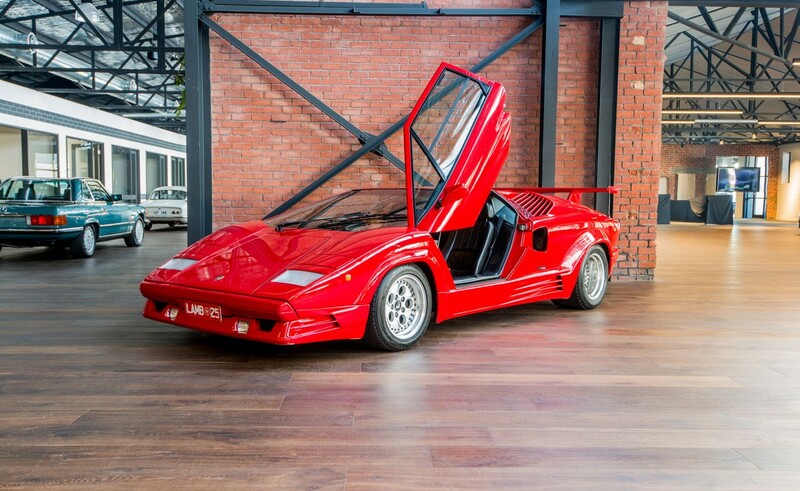 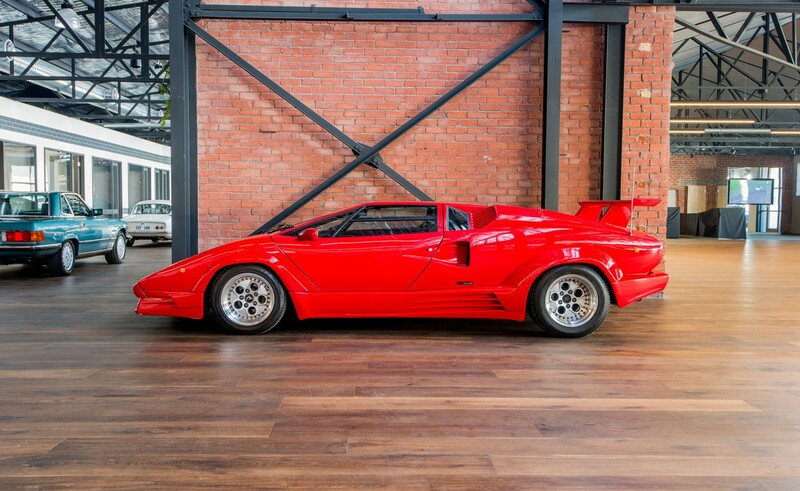 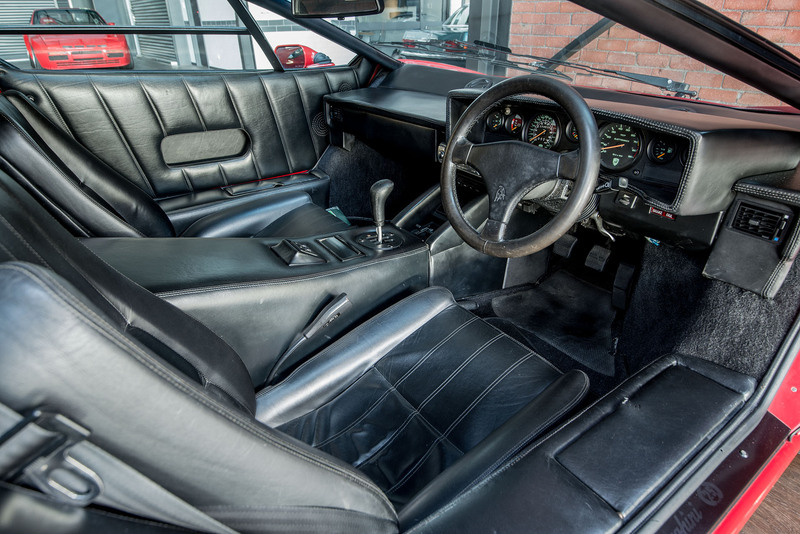 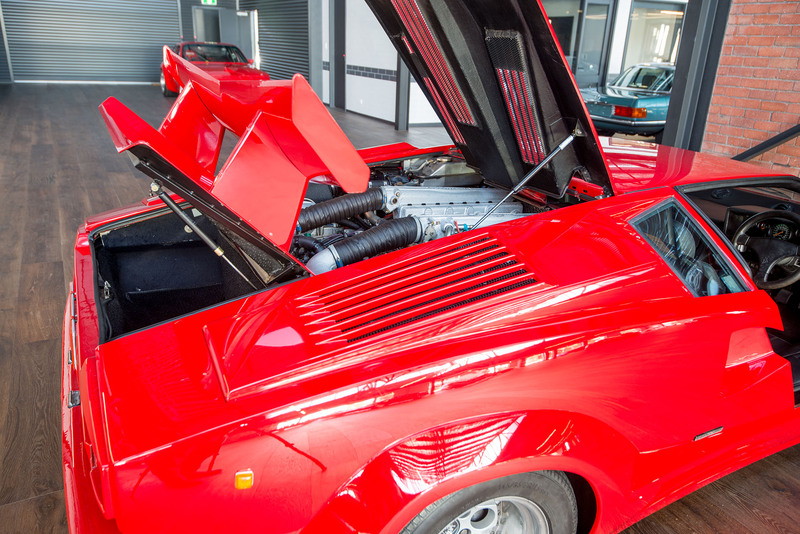 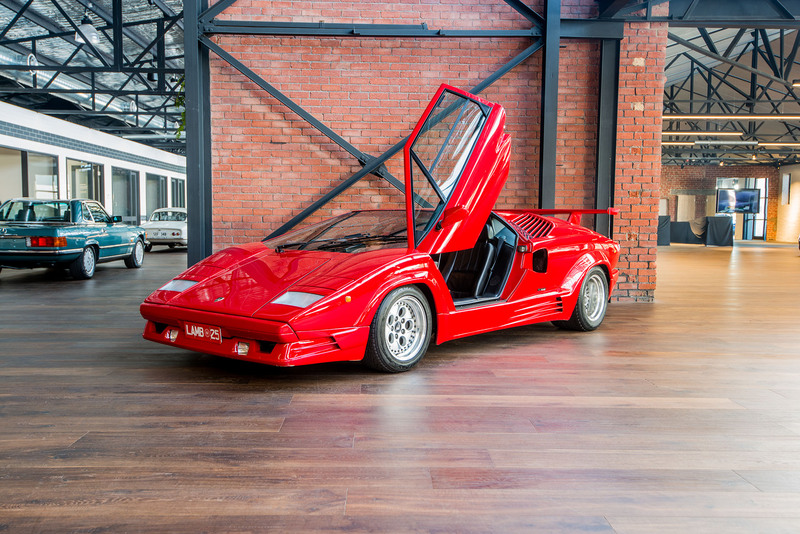 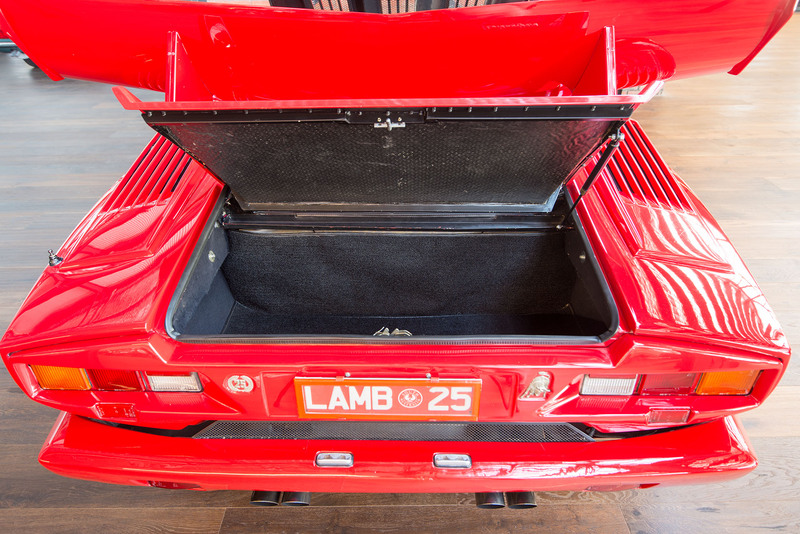 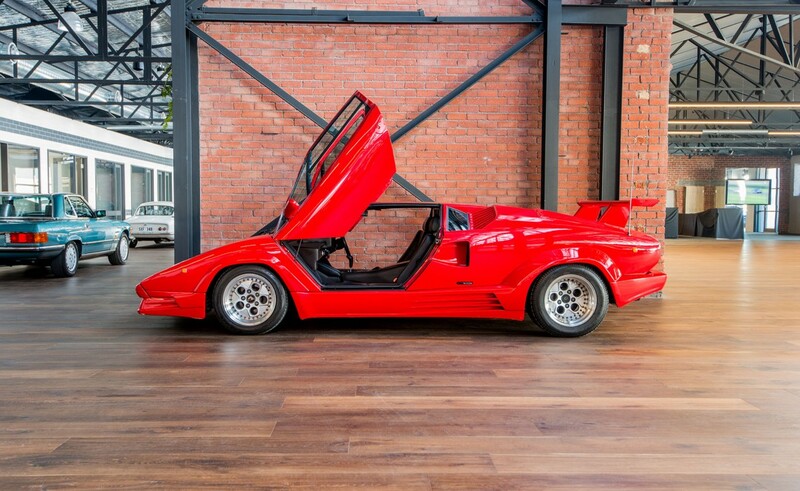 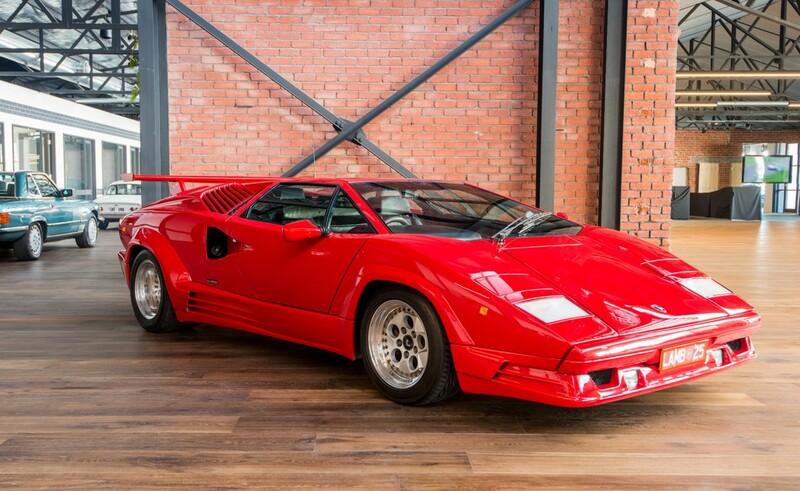 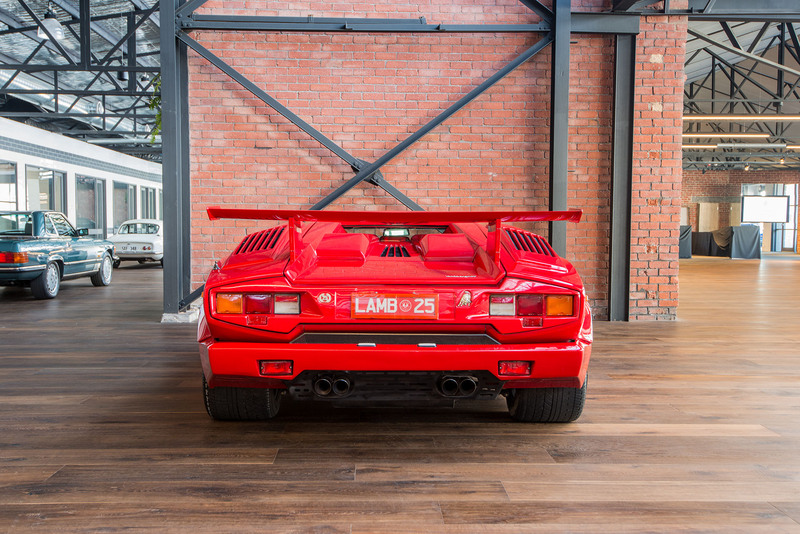 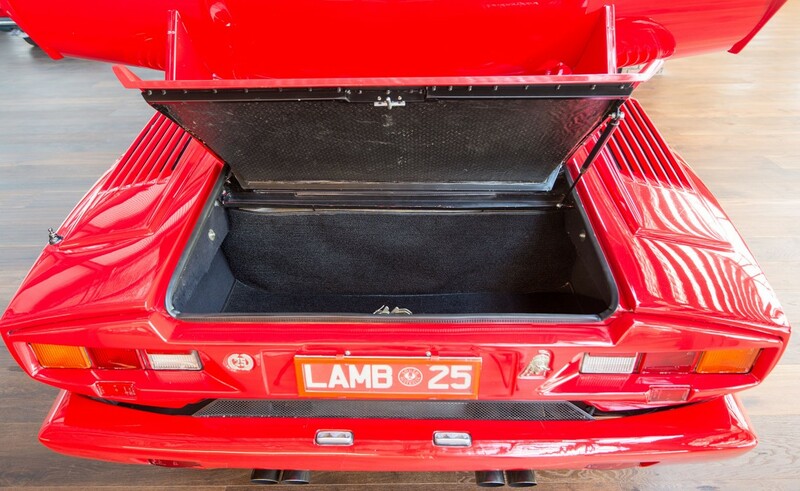 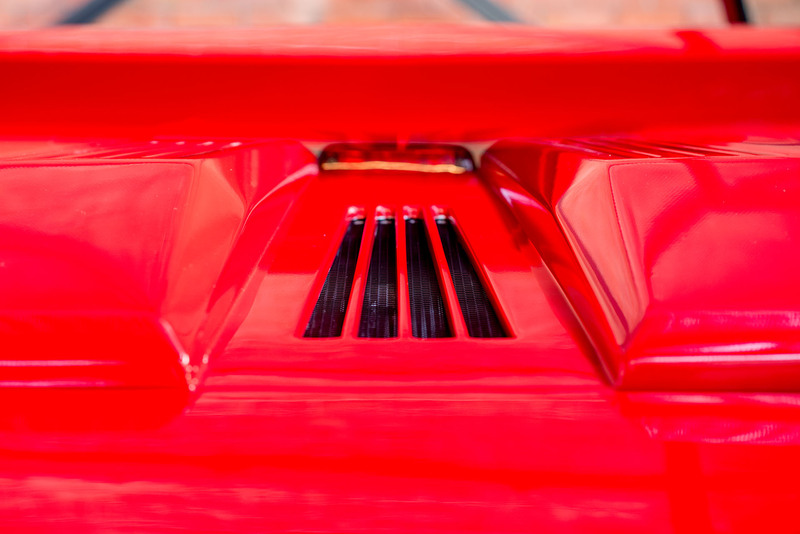 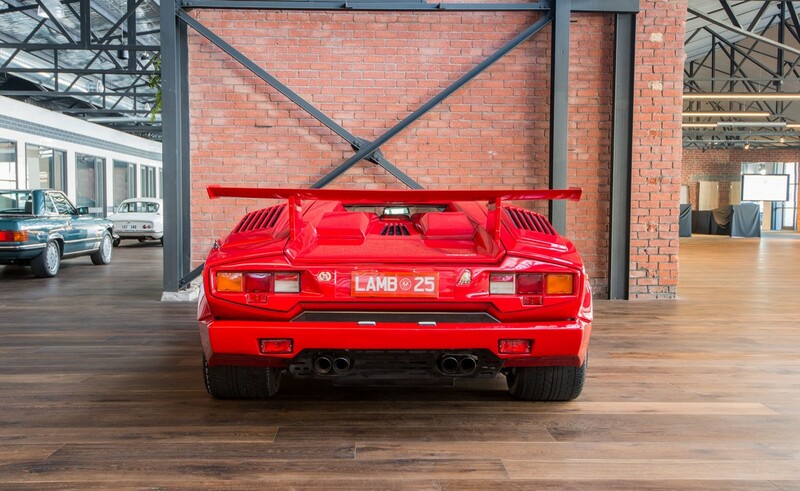 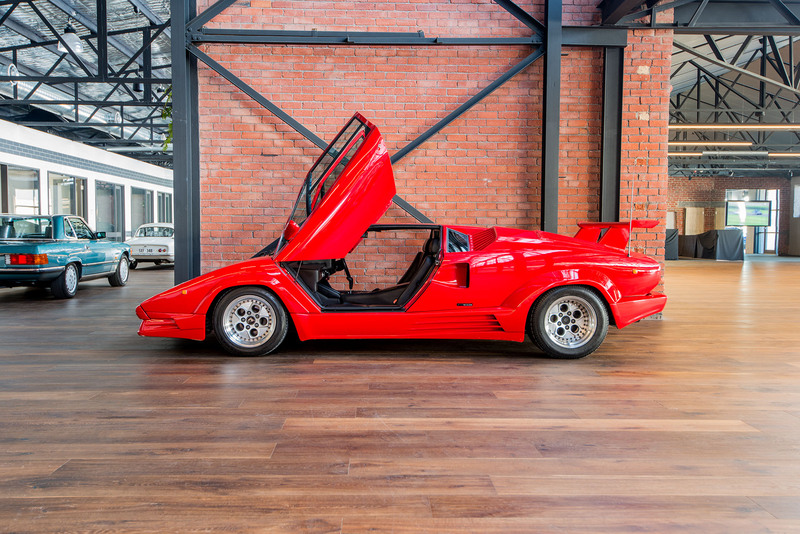 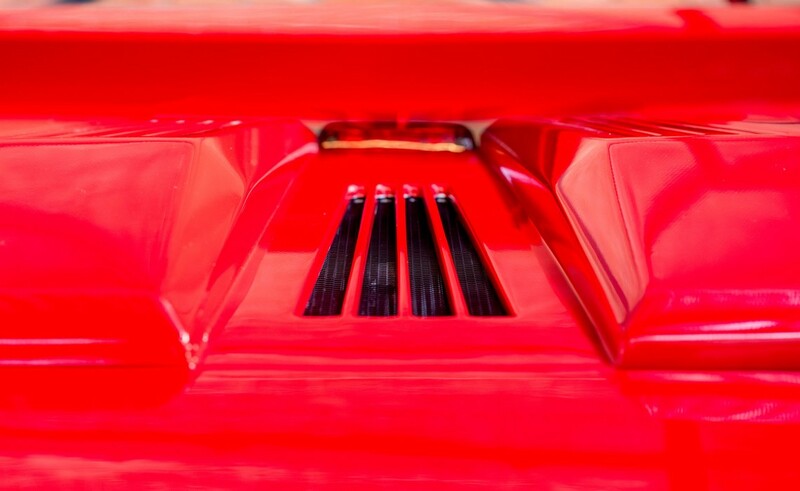 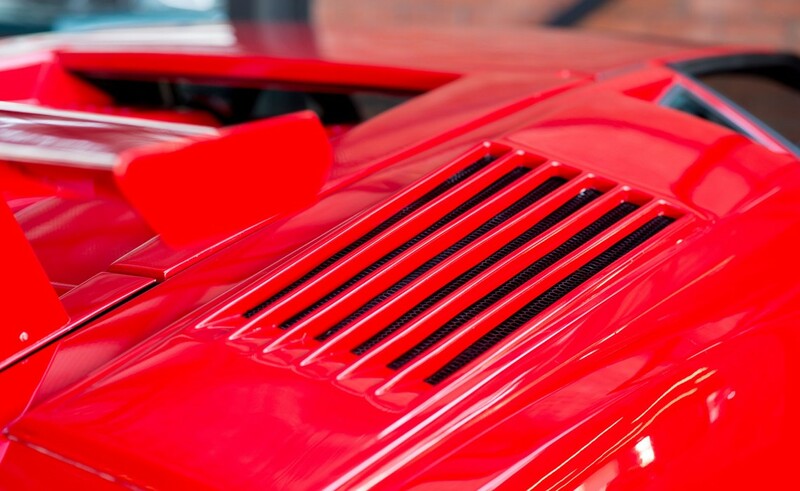 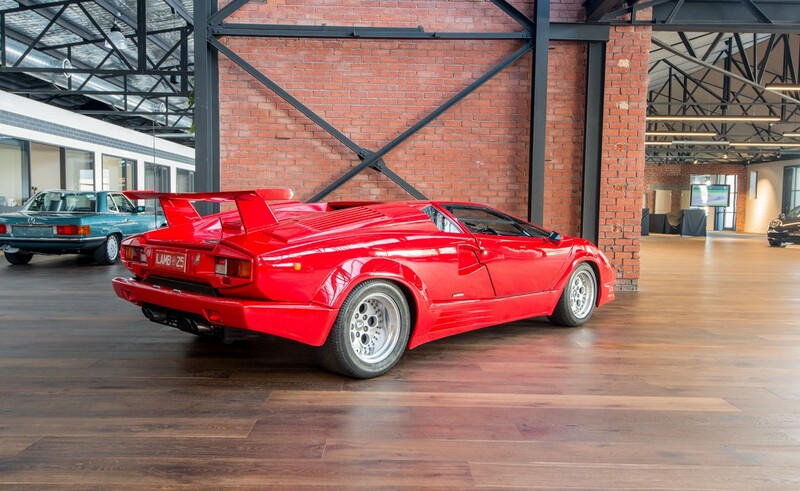 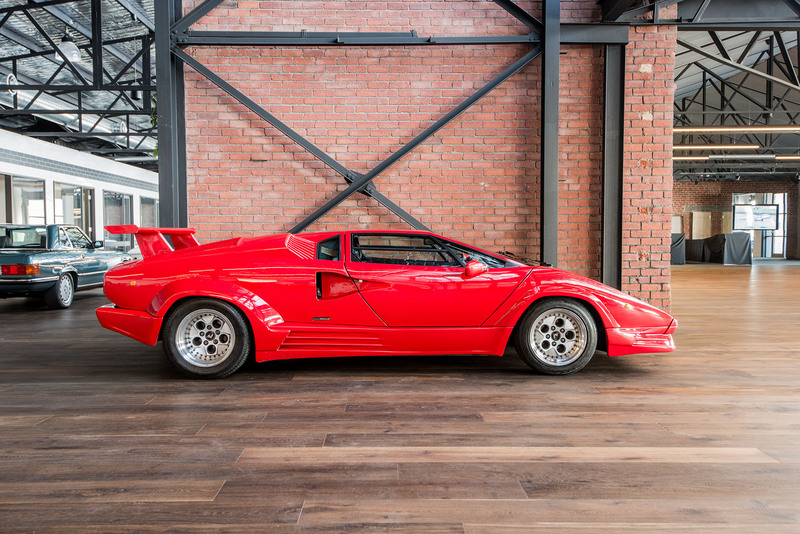 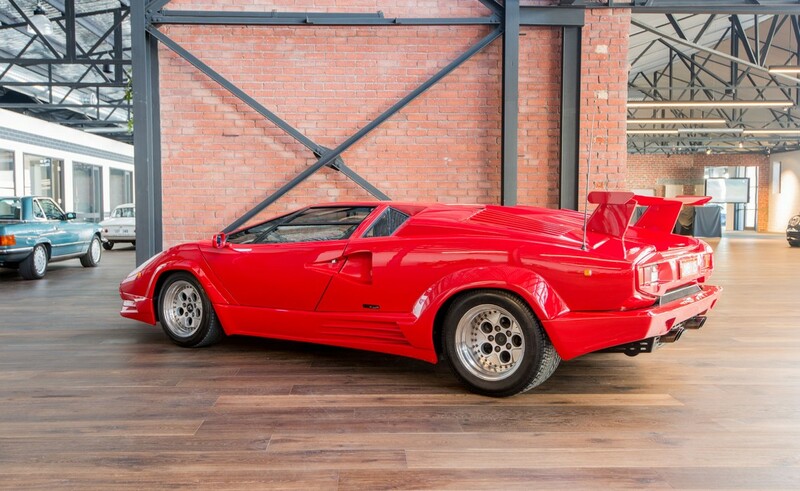 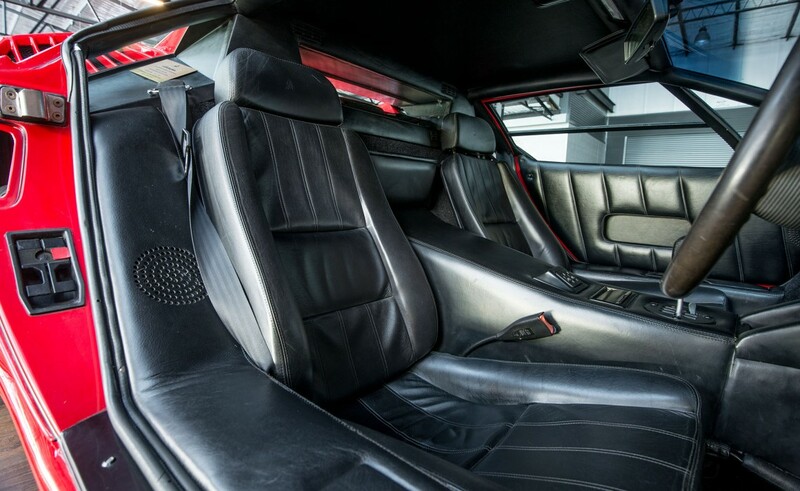 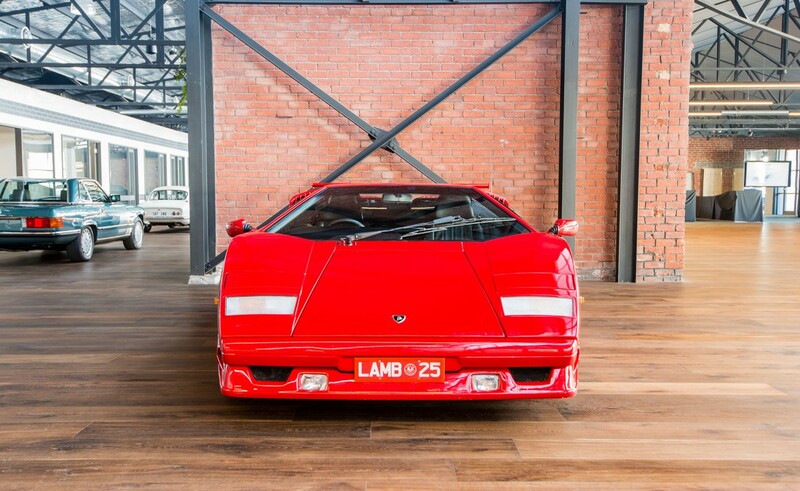 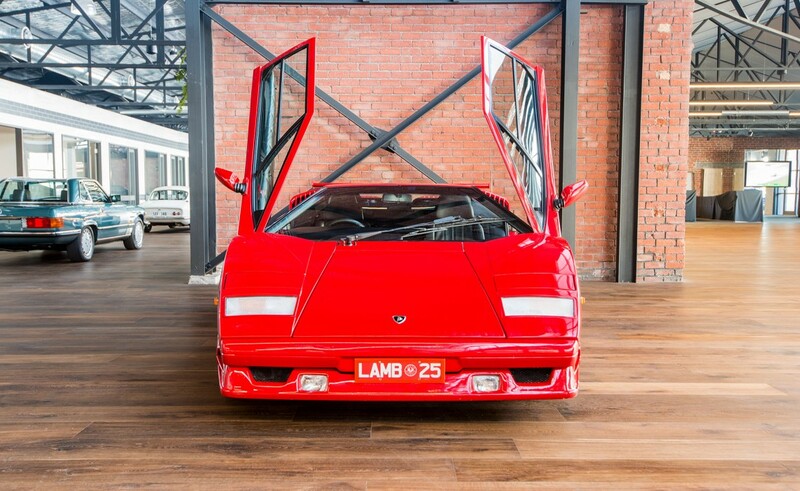 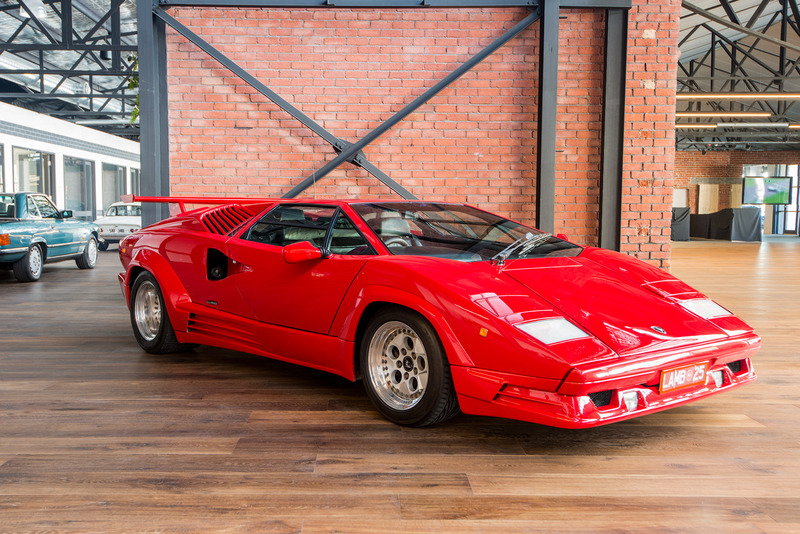 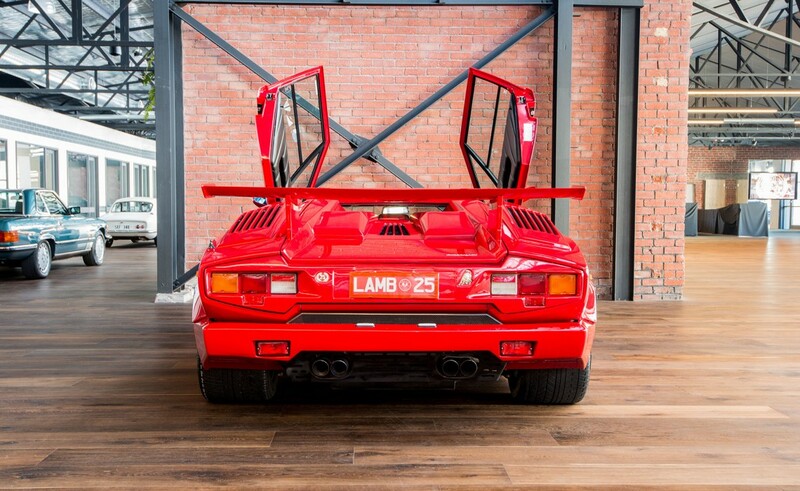 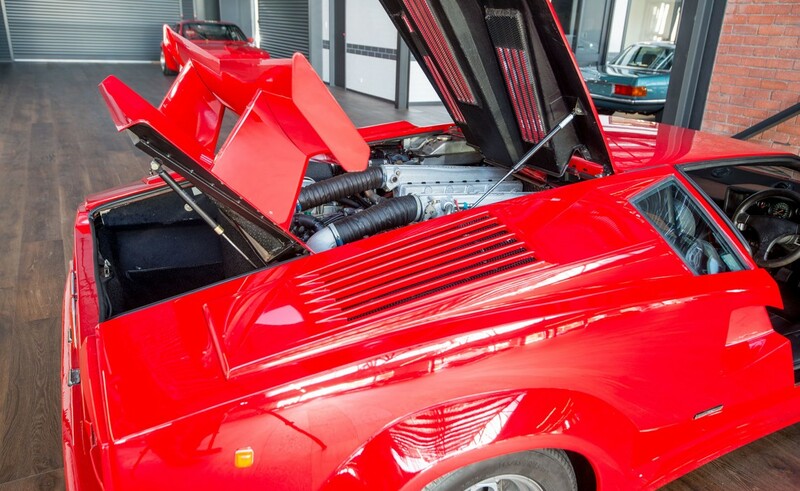 Delivered new in Australia, this Countach is a definite collectable, especially in red with black leather. 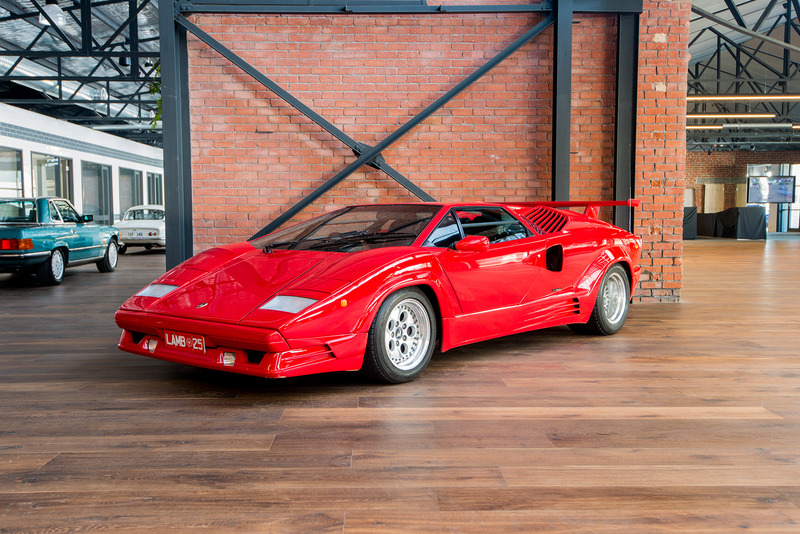 It is also one of the most recognised of supercars with many a photo having been on boy's bedroom wall. 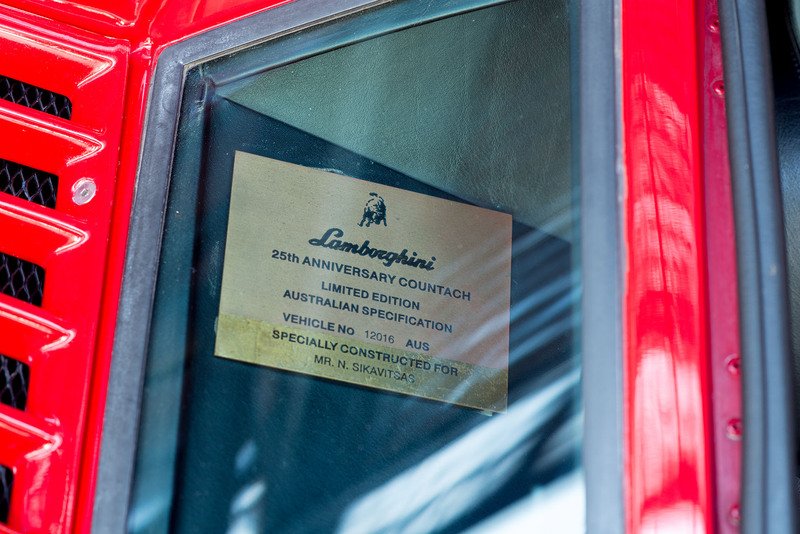 It has covered 74,000 kms so has plenty of use to keep it in good working condition. 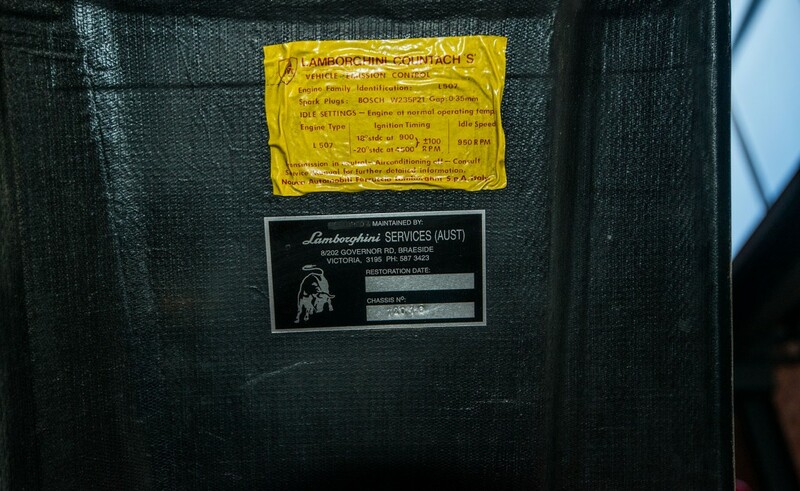 Delivered new in Melbourne on 6th of june 1990 - 27 years ago. 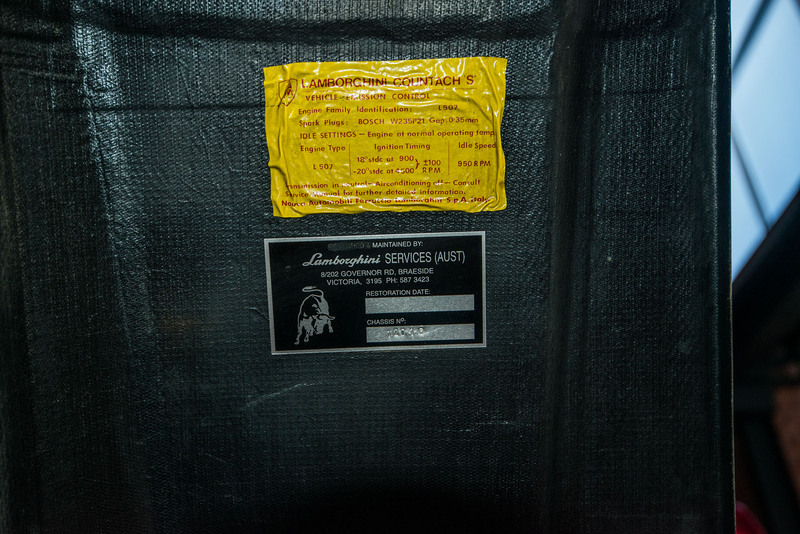 All original books and service records held.